Can Outcomes-Based Financing Scale Peace? Last year, I was introduced to Sheldon Himelfarb, President & CEO of PeaceTech Lab, which had recently launched the first ever cohort of tech startups in their PeaceTech Accelerator. These social entrepreneurs are building technologies that can predictably reduce conflict. With major partners like Amazon Web Services, Sheldon took a simple notion (i.e., tech can drive peace) and made it into a thriving reality. I thought — cool! I had no idea that was a thing. As the CEO of Quantified Ventures, I’m always looking for innovative, evidence-based projects that drive positive social, health, and environmental outcomes. And here sits the PeaceTech Lab, turning ideas into realities. He had my attention. a shared desire for investable opportunities. This community is open for business, making measurable progress against targeted outcomes — quite far down the path from grant dependency towards offering investable platforms and transactions to those seeking to align their capital with mission. 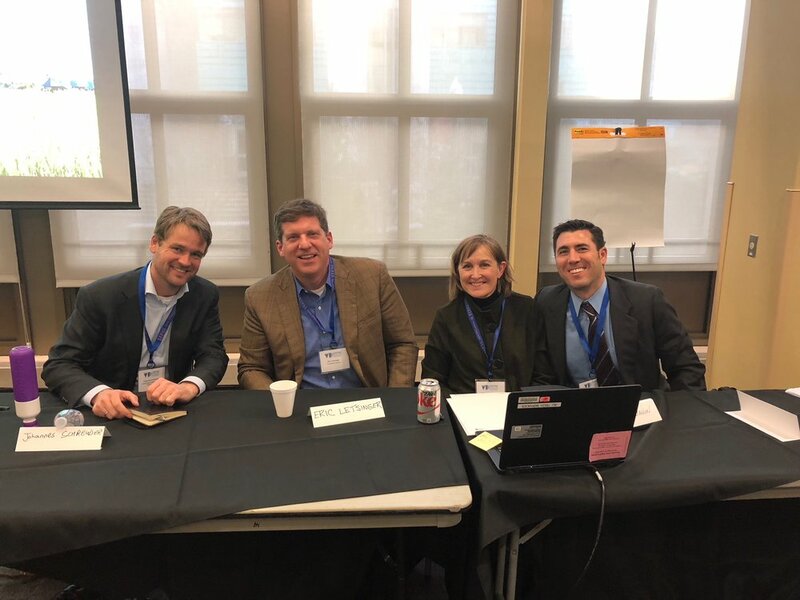 I was joined on the panel by Johannes Schreuder (United Nations Peacebuilding Support Office), Michelle McMahon (Innovest Advisory), and Rabbi Joshua Ratner (Jlens Impact Investor Network). Aside from being inspiring co-panelists, they collectively represent the constellation of partners essential to advance an outcomes-based fund for PeaceTech Lab. Whether by design or happy coincidence, I don’t know, but this serendipity has increased my enthusiasm for making something happen — soon. Valuation of outcomes at an amount that’s higher than what they actually cost to produce; this means that when an investor pays for an outcome, it generates enough money to not only pay back the investor, but also to drive dollars back into the fund; this makes it sustainable…holy grail-ish. The fund “owner” has a lot of flexibility to optimize performance relative to desired outcomes. I have been bullish about the possibilities of outcomes-based funding for awhile now, and always excited to find new applications like this one for this model — particularly one that pursues the most elusive and necessary outcome of our time: peace.